Flagstone comes in different shades and colors which makes it a great choice when you’re matching surrounding stone and other landscaping, and is a favorite with many homeowners and landscape artists because of its natural beauty and durability that is unmatched. 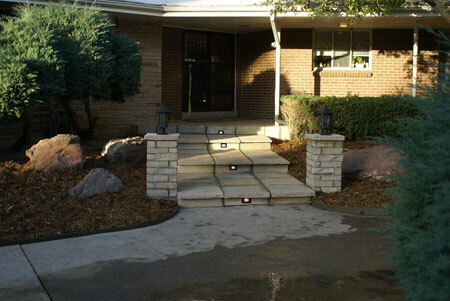 Common types of flagstone are slate, sandstone and limestone in Colorado because they match most of our existing rocks. While flagstone patios are elegant they give any area a natural look that can’t be done with brick pavers or concrete. Not only are flagstone patios durable and beautiful, they require very little maintenance and the older they get, they look great when they’re weathered and stained. Flagstone comes in different sizes and if you want a flagstone patio, we’ll use a flagstone that’s around two inches thick. We’ll use sand and stone dust for a base material that will give you years of worry free service. This is another reason to use flagstone. When it comes to durability, few materials can outlast flagstone. Flagstone patios are extremely versatile and flagstone works well over concrete or laid in sand beds as we explained above. Flagstone can be irregular shaped or pre-cut in squares or rectangles of almost any size. Most flagstone patios in Denver are buff, red, brown, with pink being one of the most popular. The spaces between flagstones can be filled with sand, or planted with grass or creepers as they’re called, or we use mortar joints. 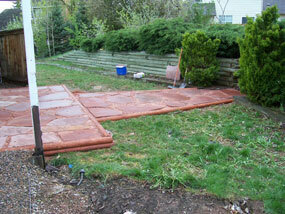 Flagstone squares or cut flagstone are more expensive than uncut flagstone, and work well in small areas. If you have a small patio, it’s hard and time consuming to fit random shapes in small spaces. We’ll meet with you at your home and draw your patio area to scale, and then decide what kind of spacing is needed between the flagstones. You’ll need a larger gap between the flagstones if you want to plant grass or a creeper in the gaps between the flagstones instead of filling them in with sand, and we can use wood timbers or bricks for a transition from the patio to your yard. We can create great pathways with separate flagstones and you’ll have what looks like steps or stepping stones for a path through your yard. This is a great look if you live on a lake and need a path going down to the lake. We can create beautiful flagstone patios using multiple colors of flagstone and placing different pieces of flagstone right next to each other so you’ll have a patio that looks completely customized for your home. The Alpine Companies have done more flagstone patios in Denver than any other flagstone contractor: Call anytime at 303.797.8908 and we’ll give you a free consultation and bid on your flagstone patios and walkways. CONTACT us today for all your flagstone needs! 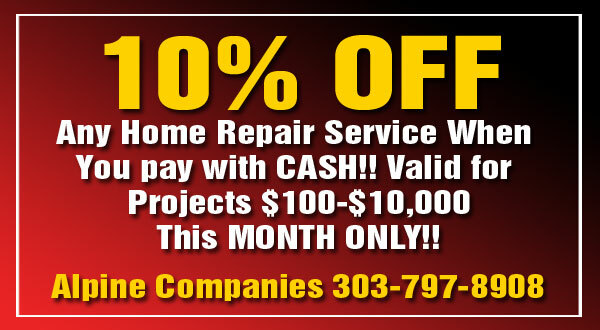 Call us at 303.797.8908 or use our form to request a Free Estimate! 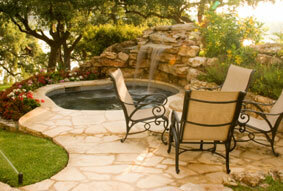 Alpine Companies guarantees the highest quality flagstone services at the best possible price! Click Here to Watch One of Our Project Videos! Be sure to use the “Search Channel” function to find the projects you’re looking for! FREE ESTIMATE! TO HELP US SERVE YOU BETTER, PLEASE SEND 3-5 PICTURES OF THE AREAS TO BE WORKED ON, ALONG WITH YOUR CONTACT INFORMATION. WE'LL GET BACK TO YOU WITH PRICING AND TIMES TO MEET ON SITE AS SOON AS POSSIBLE. If you are experiencing any difficulty using this form, please send your project to our direct email at alpinecompanies1@gmail.com By contacting Alpine Companies you are consenting to allow Alpine to use your bid or contracted project for social media and marketing purposes.